In a decision that bodes well for the future of sane public policy in Monterey County, the Board of Supervisors this afternoon voted 4-1 to go ahead with the long-planned and (with the exception of the Farm Bureau’s recent tantrum) completely uncontroversial bicycle safety improvements to Blanco Rd. A big thanks to the many, many people who took time away from work to attend today’s meeting and speak out for common sense. This project, proposed without objection in the county’s 2005 Bikeways Plan, adopted by the Supervisors in the approved 2008 Bikeways Plan (again without controversy), awarded state funding, and given the final green light by a unanimous vote of the Board of Supervisors as recently as this October, was nearly derailed by a single last-minute letter from the Farm Bureau. A letter objecting to the project for reasons so ridiculous that, had they been raised by anyone else, they would surely have been laughed off. The Blanco Rd. safety improvements are only a small step, but they are still a step in the right direction. A step toward building an infrastructure friendly enough to alternative modes of transportation that people actually start to feel like traveling by car is an option, rather than a necessity. Might we someday become that civilized? 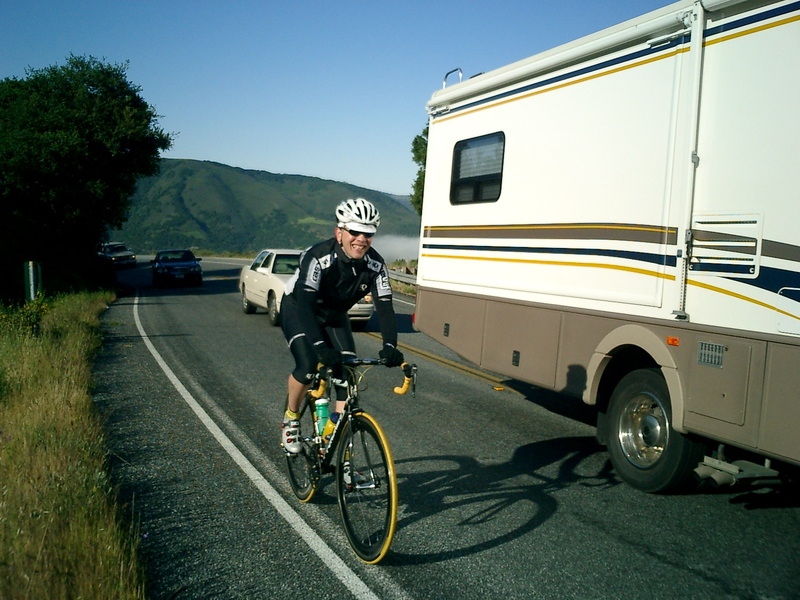 This entry was posted on Tuesday, December 6th, 2011 at 10:22 pm and is filed under Cycling, Politics, Transportation. You can follow any responses to this entry through the RSS 2.0 feed. You can leave a response, or trackback from your own site. Cyclists and other supporters are urged to stay engaged in efforts to improve local bicycling infrastructure. Visit the BicyclingMonterey.com website’s “Bicycle Shops, Services, Clubs, and Resources” page (first drop-down under Resources tab) and the “Local Bike News” section for suggestions on how to stay plugged in. Nice to hear about some good news out of the County! Congrats, let’s keep it up!! !